La vie Jaime : What's your zodiac sign? Heather Clawson of Habitually Chic gave a fantastic visual wrap-up of the New York International Gift Fair (NYIGF) last week. The annual event showcases the best of home decor and design. 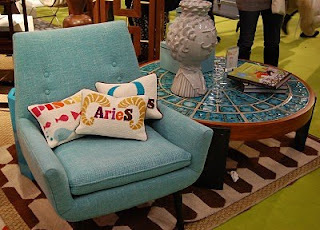 I couldn't help but notice this picture Heather took of Jonathan Adler's booth and now I desire my very own Zodiac Pillow. 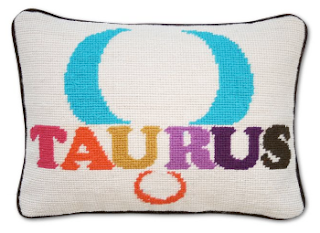 All pillow photos from Jonathan Adler. Click to check out your sign! Scheduled post... still in FL! Aw thats so cute! I want the pisces one! Oh I'm a Leo. These are too cute!! I am Gemini!!! 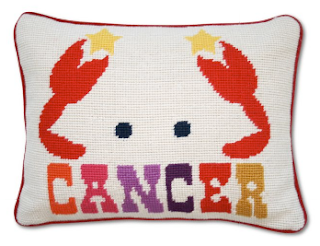 Love the cushion. So colorful and fresh! 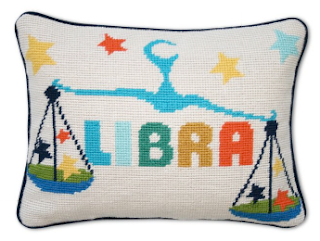 I was born on the cusp, so I would have to get both the Libra and the Scorpio pillows! They are really fun and bright- always love all his stuff! Such fun pillows! 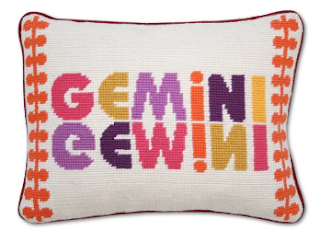 I am a Gemini - it would look amazing on my couch! So cute and I love the hand-knitted look. 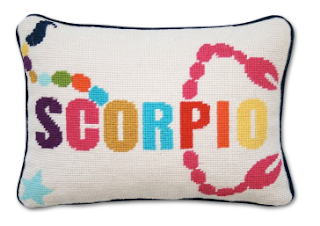 Go scorpio!